Hey, it just sounds to me like you need to unplug, man. 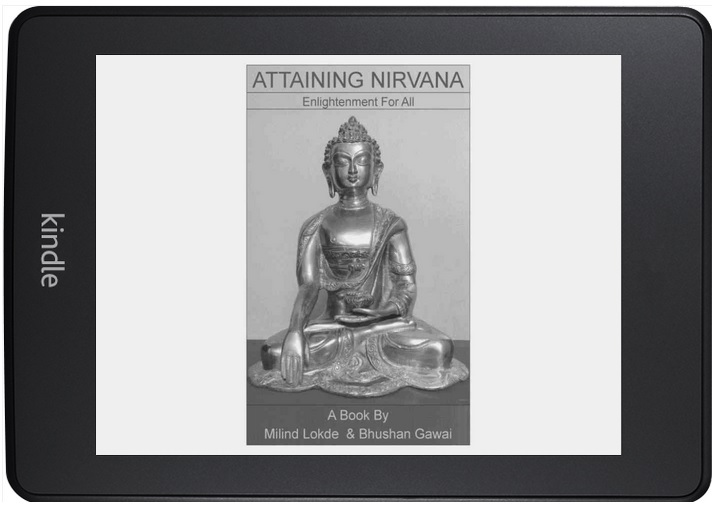 This book “Attaining Nirvana” is about Nirvana or complete eradication of suffering of living beings, that Buddha gained more than 2500 years ago. Buddha taught the path to eradication of suffering or the path to Nirvana following which many people have gained Nirvana over these years. Even now, and in future too, anybody can attain Nirvana by following Buddha’s teachings or Dhamma. Though there are many books on Buddhism, there are very few books referring to any possibility of attaining Nirvana and still less in this very life time. Buddha’s teachings are directed towards Nirvana – complete eradication of sufferings/Dukkha. Many monks have attained Nirvana to become Arahat in a single lifetime by following Buddha’s teachings. We have tried to include in this book only those teachings that are relevant to attaining Nirvana and can be easily practiced by any layman. Other teaching may be added as a separate part in future if needed. Some Buddhist concepts are very simple for anyone to understand. But some are very difficult for even brilliant minds to grasp easily. They are difficult because our mind refuse to accept these concepts. These are concepts we have grown up to mean something else and we are unable to change our view. There are a lot of good books on Buddhism covering every aspect of Buddhism and a lot of them are for free distribution. Readers are advised to read other books on Buddhism too, to better grasp the concepts. This book is covered in three parts. Part I – Practice, Part II – Insight and Part III – Nirvana and You. Part I is Practice, the practising part of attaining Nirvana. It has basic required teachings which are essential to attain Nirvana. It basically deals with understanding of the Four Noble Truth for eradicating suffering and Noble Eight Fold Path that needs to be followed for Attaining Nirvana. It includes a hand chart that can be used for practising. Part II is Insight which is essential, but not readily grasped by our mind. This also makes Buddhism different from other philosophies in the world. This is the understanding part of attaining Nirvana. It deals with concepts that make attaining Nirvana easier and also make it more clear what nirvana actually is and why it is so important to attain Nirvana and eradicate our suffering. This Part covers Karma, Rebirth and Dependent Origination. Part III is Nirvana and You, this chapter will help you understand Nirvana better, clear your doubts, give motivation and help you check your development progress. This part covers topics which aid in practising for Attaining Nirvana and may not be directly related to Buddha’s teachings. This is also the reason these chapters are kept separate.